Just over an hour from Washington DC, this small 1950s style cozy cottage is a perfect getaway from the hustle, bustle and stress of everyday city life. The cottage, while not modernized, has what you need to protect you from the summer storms. Once the storm passes, it is time to get outside and take advantage of a quiet cove for soft shell crabbing, fishing off the pier or relaxing on a raft. For those who want to bring a boat or two, the potomac is only a minute away. 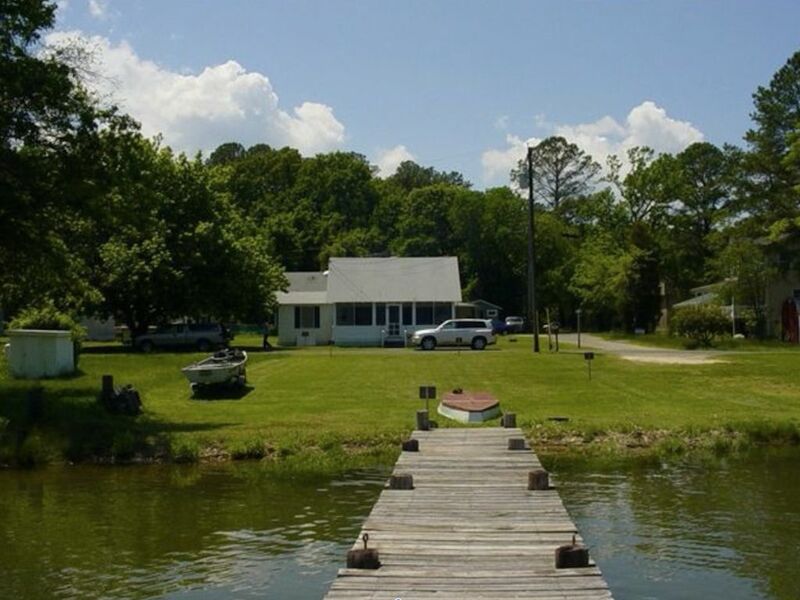 You can launch your small boats and wave runners right at the property OR a boat ramp is two miles down the road. If you prefer to "rough it" and do some glamping, you can pitch a tent or two outside on the vast lawn next to the pier and do some night time star gazing or night time fishing off the pier. For those who can't be too far from your favorite restaurants and big box stores, a short trip to California will satisfy your every desire and taste bud. The opportunities to kick back and relax are endless at this Oasis in Piney Point Shores without being too far from the hustle and bustle.